My thanks to Roger Andrews who has patiently waited to get this work published for the last fortnight while I have been swanning around in Spain and dealing with the backlog on my return. This paper explores more rigorously the ideas I voiced here and previously at WUWT over the last few years that the timing of ENSO and the solar cycle masks the true magnitude of the effect of the solar cycle on Earth’s energy flows. Before proceeding, credit where credit is due. The concept of a relationship between the sun and ENSO events isn’t new. It’s been discussed at least twice on this blog (here and here) and in detail by Theodor Landscheidt (here). The connection between ENSO events and warming isn’t new either. Three years ago Bob Tisdale (here) showed how ENSO events caused periodic upward shifts in the SST record that explained all of the recent global warming. Also not new, thanks to our host, is the theory that the oceans periodically release stored heat to the air (here). So a h/t to these gentlemen and to any others I may have omitted. Figure 12 shows how global SST changed during the 1981-1992 Niño-Niña-Niño-Niña transition. And will history repeat itself? Probably, provided there is still some excess heat left in the ocean. One thing that could delay a temperature shift, however, is another phase shift in the sunspot cycle-ENSO linkage. The fact that the last two temperature shifts occurred at sunspot maximum and the preceding two at sunspot minimum suggests that a phase shift occurred at some time between 1976 and 1990 – most probably in 1986 when the sun’s north polar magnetic field reached minimum and when Niño-Niña events transitioned from the back to the front side of the sunspot cycle (Figure 2). And the sun’s north polar field is once more passing through a minimum, although a much weaker one. If this does cause another phase shift – and again if history repeats itself – the temperature shift will be delayed until the next solar minimum, which according to NASA predictions won’t occur until around 2020. I completely agree that the Sun drives ENSO, in every manner…but I am not grasping you usage of the 11yr sunspot cycle and the seemingly random dispersion of ENSO events within it. Rather the AP-Index kind of gives it away, In my opinion…below is the correlation below is ENSO, AP Index, and the Global Temp. That said, the background warming itself, in my view, appears to be related to changes in various aspects of the geomagnetic field, atmospheric circulations/clouds, and the Sun’s modulation of all of them. So in my opinion, very significant cooling should begin in winter 2012-13, and/or whenever the solar polar fields flip. Phil: OK, but the ‘spike’ in your lagged AP isn’t very impressive around the big ’98 el nino. Something non-linear happening? Call me old fashioned if you like, but back when I did science this was known as “disproving a hypothesis”. Seriously – when one of your five samples contradicts your hypotheses, you throw out the hypothesis. At CERN, they require 5 sigma as proof. 2 sigma is noise. And you dont reject at 20%? Steve, in a system bedevilled with as many non-linear variables as the climate system, four out of five is good going. Did you do your science in a nicely controlled lab setting? Or perhaps more accurately and appropriately by one ENSO period of 3.7 years? When I look at figure 7 I see the LHS as the bottom of a sine wave and the RHS the top. I do not understand how a straight line can be superimposed on it. But I must say all these graphs take me back to my share dealing where everyone is looking for patterns in the charts to try and figure out where the market is going next but it is usually the trader who does the opposite to the crowd who wins. James, much fun can be had (for entertainment purposes only as Roy Spencer always says) fitting polynomial curves to climate data. In this case though, I think you’re right, and temperature is going to fall. Probably a bit more steeply than the sine wave, from 2013. Actually the highest spike in the AP-Index record (1991-92) lagged 6.5yrs correlates to the 1997-98 El Nino. I do have a mechanism for all of this in mind, involving magnetic interactions, but I do not want to sound like an alarmist blowhard regarding the Holocene. Thanks for a great post, Roger, plenty to get my teeth into here! First thoughts regarding solar activity, could it be via differing strengths of solar wind? NASA seem to think that this is responsible for the contraction and expansion of the atmosphere. Just need to understand how that affects things. Phil, I thought the data in the AP plot had already been lagged, and that had given the match at the 2010 el nino marked by a trapezoid in your diagrams. Maybe some legends would help. WordPress does support latex for symbols and equations, though it’s a bit cumbersome. 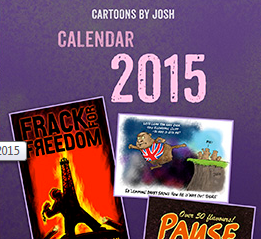 Fancy writing a guest post to put your ideas forward? So Roger, would it be fair to say that since you first came to the talkshop you’ve become more sceptical about the degree to which the late C20th warming was of human caused origin? I hate to put a spanner (wrench) in the works, but I hope to publish a paper later this year that (I believe) will shows that the dominant triggering mechanism for the El Nino/La/Nina phenomenon are long-term lunar atmospheric tides. Bob Tisdale has shown that it is the relative frequency of El Ninos to La Ninas that drive decadal warming and cooling of the planet. In this up coming paper I hope to show that is long-term atmospheric Lunar tides that mostly control this relative frequency of the El Nino/La Nina phenomenon. primarily controlled by lunar tides. I realize that it is not fair to claim something without evidence. However, I will let you judge my claim when I (hopefully) get this paper published. P.S. I realize that there are many bloggers to this group who have different ideas to those presented here but before you shoot the messenger down in flames please realize that I cannot reveal any more than I have without breaking peer-review protocol. Thanks! Absolutely…I’d love the opportunity to write out a guest post, I’m off work Wed thru Fri so maybe then? Hi Ninderthana and welcome back. Sun and Moon both involved? – Great! I look forward to seeing the paper and finding out the timescale of your ‘longterm’ lunar tides. There are resonances from both these major tide producing bodies. The average ENSO period of around 3.7 years is about 1/3 of the solar cycle length. There have been bigger than usual el nino’s somewhere near solar minimum for the last five cycles. Each group of three solar cycles alternately contain two south and one north polarity cycle and one south and two north polarity cycles. I think this is a possible link with the ~60 year cycle of warmer and cooler PDO and relative el nino la nina frequencies too. How the lunar timings interplay with these observations and possibilities will be interesting to see. Let’s hope they don’t keep you waiting! I had two problems with the N&Z paper. First was N&Z’s claim that temperatures were modulated by “quasi-periodic fluctuations in planetary cloud albedo”. To support this claim they presented Figure 7, which plotted TLT against cloud cover, but basically all the Figure showed was a bunch of poorly-correlated wiggly lines. It certainly didn’t support their claim. El Niño events to demonstrate that. And that prompted me to look into ocean-air heat transfer in more detail, hence this post. Roger I’m in agreement with you. That’s why my last post is looking at the effect of surface pressure on the ocean rather than N&Z’s ‘Atmospheric Thermal Enhancement’. A fundamental shift of emphasis is required in order to understand energy throughput in Earth’s constituent mass elements. Grabbed ENSO SST, apply the same filter as in previous post. Fail to arise one morning, aka overlay. This is the solar data passed through the same filter. However this is ghastly and whether I have the incantation right is unclear (yeah okay you don’t know what your own software does) has to go from daily data, interpolate over missing data, bandpass and decimate to monthly. A problem is I haven’t a clue on how to best extract the solar, a problem with new stuff. How can you not be sure it isn’t cloud/wind variation that drives ENSO, which precedes surface temp? Changes in the trade winds precede always precede ENSO, and what causes wind is a change in heat distribution…which on a global scale would be related to the AO and coinciding cloud anomaly reconfiguration. So perhaps in the kinetic energy bodget? When looking at the PDO, NAO, and AP index, the same general pattern can be found except during wartime periods which cloud be a result of bad bad data. Not intentionally other than solar data might offer some clues and since I have the stuff to hand it’s better to get it out than lost. if this poses problems, can move it, no sweat. In your last post you said “most of the reason the surface of our planet is as warm as it is, is due to the effect of atmospheric mass limiting the rate at which the ocean can lose energy.” This may indeed be the way things work over the long term, but over my 50-year study period there were three heat releases from the ocean with no significant change in global atmospheric mass. ENSO events, however, do coincide with local changes in atmospheric mass, with SLP in the Equatorial Pacific falling by a millibar or two during El Niños and rising by a millibar or two during La Niñas. I doubt these changes would be large enough to trigger heat releases, but at least they’re in the right sense. I’m very dubious the increase in solar irradiance from 1910-1960 can account for all this heat gain, simply on energy grounds. And we really don’t know what the oceans were doing before about 1960, so there may have been even more heat gain. The difference, of course, is the anthropogenic greenhouse effect. SOMETHING has to be the difference, because extra solar irradiance can’t completely account for the observed changes. How can I be sure that it isn’t cloud/wind variations that drive ENSO? Well, I can’t be 100% sure of anything, but wind speed changes in the Equatorial Pacific tend to lag ENSO events by a few months, suggesting that the ENSO events caused the wind speed changes and not the other way round, and the only significant change in ISCCP cloud cover since records began in 1983 is an abrupt decrease in low clouds that lags the peak of the 1997-98 El Niño by several months. That’s because you are not considering several associated factors in addition to the raw TSI variation. There is strong evidence that there are several mechanisms in the climate system which amplify the thermal effect of solar variation. One line of investigation is that taken by Professor Nir Shaviv in his JGR paper on using the oceans as a calorimeter. Another is investigation of strong effects in the upper atmosphere, which propagate downwards via ‘planetary waves’. An article I posted here last year has an abstract, though attempts to get the full paper haven’t been successful. Allied to this is the consideration that not all Watts are the same. Solar UV varies a lot more than overall TSI, sometime in the opposite sign, and UV has effects on ozone levels, surface marine biota and maybe other stuff we haven’t investigated yet. Which solar data? The SSN or your magnetic assymetry time series? If the former, it looks like there is support there for what I’ve been saying for the last four years about reductions in irradiance (and surface insolation due to cloud feedback) being part of the trigger mechanism for el nino events occurring some time later. Really? I didn’t know that, I’ve always been under the impression that it was the global wind budget/GLAAM change that preceded ENSO, with the MEI lagging the N3.4 SSTA, but I’m happy to be proven wrong. Do you have the data? There are some interesting looks when subtracting the difference between the North Annular Mode and the South Annular Mode, then lagging them ~3yrs to ENSO/the global temp. The lagged values, if the relationship continues, suggest a steep drop in global temps beginning sometime in late 2012 or 2013, which just do happens to be the time when the COM (center of mass) and Sun meet up (2013), and also close to the solar polar flip @ solar max (2013). It also so happens that our 23,000yr precession cycle reached peak this past DEC, and winter 2012-13 will mark the crucial 1yr return point in the cycle. The AP lag I showed earlier just so happened to coincide with the end (peak) of the 23,000yr precession cycle! So in winter 2012-13, I think the (forbidden word) begins. “I’ve always been under the impression that it was the global wind budget/GLAAM change that preceded ENSO”. According to Höpfner (﻿http://bib.gfz-potsdam.de/pub/str9907/9907.pdf) the ENSO events caused the atmospheric angular momentum changes. 2. Wind changes lag ENSO by 3-4 months (hard to measure exactly because of the weak correlations). So I think we can dismiss surface wind changes as a possible cause of ENSO events. Thanks, though I’m curious where you looked…Specifically over the ENSO regions? The globe? The global tropics? What are your thoughts on what causes the upwelling/downwelling then? Can’t be the PDO since it lags ENSO, though sometimes all it takes is an MJO wave. BTW thanks for that link, loads of useful data there. In doing some research, the pacific walker circulation could be the aspect that is solar modulated, which might solve the puzzle. Still is hard to know how and why ENSO is lagging the indifference between the two annular modes by 3yrs. Climate is the final, observable sequence in a binary energy flux equation. The two energy inputs are vairable solar fusion (and particle flux) and Earth’s variable fission which is controlled by changes in solar particle bombardment. It is virtually impossible for atmosphereic or surface ocean energy changes to be “subducted” to lower ocean layers for later release. The Earth hides a large portion of the total geothermal output in the production of lower order “elemental” atoms and molecules. This is explained in “Earth’s Missing Geothermal Flux” posted at the FauxScienceSlayer website along with other articles explaining the variable fission theory. If you ignore this factor you are an epiphany away from Truth. What are my thoughts on what causes the upwelling? Straight answer, I don’t know, but here are some random musings. Trying to relate ENSO variations to ocean cycles like the PDO or the SOI doesn’t get us very far because even if we could find a climate index that leads ENSO (and the SOI comes closest, with a lag of zero) we’re still left with the problem of explaining what controls the SOI. And if we then found another atmospheric or oceanic index that led the SOI we would have the problem of explaining what controls that index etc. etc. Why do we get periodic stair-step heat releases from the ocean? Possibly because the sea surface cools slowly after each heat release and eventually reaches a state of thermal disequilibrium that triggers another release (I think Bob Tisdale came up with that one too). But don’t ask me for a theoretical proof. And how can cyclic changes in sunspot number (or in TSI, UV, the AA geomag index or whatever) trigger abrupt heat releases from the sea, or at least trigger the sequence of ENSO events that leads to them? I can’t think of any way they could do this, but maybe that’s because I’m not smart enough to figure it out. All of which makes me think that I might have jumped the gun in claiming that the sun controls ENSO events. When it comes to climate it’s common to think of the sun as the perpetrator and the Earth as the victim, but Ninderthana has just linked to a paper over on the Suggestions thread which theorizes that solar cycles are in fact generated by planetary gravitational and tidal effects, which if true would make the sun and the planets perps and victims together. But I like this theory because it allows us to explain ENSO variations as tidal effects, which I find a lot more plausible than the alternative explanations, and it also explains why ENSO events and the sunspot cycle are so closely correlated (they’re both controlled by Jupiter & Company). Maybe I have less of a problem with mechanism. If the sun is pushing energy into the sea in a way that creates an activily held regime, when the sun stops the regime flips to heat emission. This is the kind of situation we come across in engineering processes, back off and it kicks back, so I don’t dismiss the idea as impossible. I note there seems to be a UV window where the ocean and atmosphere is clear. Interesting theory. It fits the 1989 and 2001 upward shifts, which occurred at solar maximum, and I guess it might also fit the 1965 downward shift, which occurred at solar minimum. But it doesn’t fit the 1976 shift, which was upward and which also occurred at solar minimum. A Landscheidt-type phase reversal, maybe? I hope you’re right Tim, since that’s the concept I’ve been trying to get people to see for the last four years. I’m not very good at communicating. Conceptually I have an idea on what might be going on. This needs firming up but I already know the data is terrible. Lets take the hot/cold (never can remember the nina stuff, words mean nothing to me). This is based on a contrived human measure based of lousy data. RA, you mentioned the 1992 heat as not fitting but did you know the plain SST data has that reversed to cold? So which is it? I’m not aware of a suitable solar radiation dataset, an improbable facility. I hope it is obvious why I posted the plots above. You want a linkage, well there had better be something pretty convincing. That second dataset is the sunspot database kept by Hathaway. It is horrible. So time ago I took a stab at decoding it and producing a usable time series. It does produce what I assume is a near clone of the sunspot time series (looks so but I’ve not bothered checking). Much more interesting it gives the locations and areas. If you are familiar with the butterfly diagram and general way things go you might be aware of the north south preponderance variation. Ties in to lots of things on polarity. This is a very interesting subject. A recent snippet is suggestion there was unipolar behaviour duing the Maunder minimum times, which is related to magnetics too. Going on the polar field at the moment I do wonder. Snag with sunspots is they are not always there but is the sun really doing nothing? It might be that clues are in that data. More or less white sheet of paper here folks. Nothing obvious came from the work I did on barycentre. I still suspect a position sunspot oddity, which Rog knows some about. Pick over that as best you can. Do you have any thoughts for why the the directional configuration of the pacific walker circulation precedes ENSO by 12-15 months? I think this supports a solar-origin for ENSO because the walker circulation seems to be driven by stratospheric means such as the U-wind profile and QBO, (Driving the MJO) which not only features a great correlation to the AP index, but also happens to tie into the AO and can explain it’s wild swings as of late. Following up on the sunspot asymmetry is something I keep thinking I should get around to. As I said to Ian on Tim’s SST-TLT thread, I think one of the possible reasons for a 60 year component in the SST is the fact that sequential triplets of ~11 year solar Schwabe cycles contain 2 south and 1 north polarity sunspot cycle, and then 1 south and two north polarity cycles. Earth has constant polarity, until a flip, which happens irregularly on long time scales (though Ray Tomes has found some periodicities). Svalgaard says reconnection events between solar magnetics and Earth are effective at transferring energy when the field is south. I translate for my blog. I think that the basic ENSO oscillation is created by the fact that the mean position of the ITCZ is north of the equator. That leads to different levels of solar input to the oceans either side of the equator. Over time, a discrepancy in ocean heat content either side of the equator builds up until it reaches a critical size which results in periodic energy discharges as the excess energy south of the equator breaks out across the Pacific and moves into the northern hemisphere. That basic scenario is then supplemented by solar effects on the air circulation whereby global cloudiness and albedo changes alter the amount of solar input getting into the oceans on each side of the equator. When more solar energy is getting in the ENSO process is skewed in favour of El Nino events and when less solar energy is getting in the ENSO process is skewed in favour of La Nina. The source of cool water to fuel La Nina is from the upwelling colder water from the thermohaline circulation (THC) which upwells off Peru. The upshot is that an active sun reduces global cloudiness by drawing the jetstreams and climate zones poleward allowing more solar input to the oceans which more than offsets the cooling that would otherwise have been available from the upwelling THC waters. A less active sun reduces solar input to the oceans to allow the THC upwelling to resume its cooling effect in the equatorial regions. That neatly draws a wide variety of apparently unrelated observations into a single, plausible process. Do I have any thoughts for why the the directional configuration of the pacific walker circulation precedes ENSO by 12-15 months? Well, I looked at the paper you linked to, and what it does is compare Niño3.4 against the﻿ November– March intraseasonal standard deviation of the normalized daily sea level pressure anomalies from 20̊ to 45̊N and 150̊ to 175̊W. It’s not clear to me how this obscure metric might relate to ENSO events and even less clear how it might relate to solar activity, and it doesn’t even match Niño3.4 all that well (R^2 = 0.25 according to the author). And nowhere does the paper mention the Walker Circulation, although that of course doesn’t mean that the Walker Circulation has no impact. Thank you for the correction on cycles 22 and 23. I missed that one. I don’t agree with you there, but basically all I’m using the data for is to define a) solar maxima and solar minima and b) abrupt shifts of several tenths of a degree in the temperature records, and I think the data are at least good enough for that. Do you concur? Next week I will publish on my blog, article on the Gulf Stream. RA, I’m afraid I don’t, without going into the technical reasons. Giving one item: I know of unexplained jumps larger than those, which are coherent with non data change and neither documented nor acknowledged. Audit fail. Given known bad behaviour, problems pointed out resulting in covering up instead of fixing, the acceptance bar is high. In the absence of anything better please carry on, ignore me on this. I’m known as unusually difficult when it comes to assenting what I do not accept as safe. Point out something: The concept of solar energy burying in the ocean might mean the data needs to avoid cloud, further complicated by the water moving. Any thoughts on this? some checking on this with the following results. I assumed that SSN greater than 67.3 (the 1960-2012 average) defines when more solar energy is getting in and SSN less than 67.3 defines when less solar energy is getting in. When SSN was greater than 67.3 there were 57 El Niño months (Niño3.4 greater than 0.5C) and 70 La Niña months (Niño3.4 less than minus 0.5C), i.e. 45% Niños and 55% Niñas. When SSN was less than 67.3 there were 97 El Niño months and 115 La Niña months i.e. 46% Niños and 54% Niñas. No sign of a skew here. Any comments? I think we’re going to have to agree to disagree on the question of data quality. The data I used aren’t perfect, but by Stock Exchange Regulatory Agency standards they qualify as “audit pass”. And while you’re there, could you please delete the two garbaged responses to Stephen Wilde just above? I think the problem was that I used a “less than” symbol and the machine read it as “delete”. Thanks. Would you be able to take intensities and duration into account ? And the issue of time lags ? During the late 20th century warming period solar activity was high, cloudiness fell, the jets moved more poleward and became more zonal, El Ninos dominated over La Ninas, ocean heat content rose and air temperatures showed a slight rise. Since around 2000 solar activity has been dropping, cloudiness has been rising, La Ninas are not yet fully dominant but moving that way, the ocean heat content does not seem to be recharging fully, the jets are more meridional/equatorward and air temperatures are no longer rising. I don’t see that so much can simply be a coincidence and we do not have the data to make meaningful historical comparisons. I also think that the ENSO cycles can supplement or offset solar effects over at least 3 solar cycles as per the negative PDO offsetting the high solar activity of cycles 18 and 19. I think 67.3 could be too high for balance given that there has been increasing solar activity and increasing warmth since the end of the LIA with the period 1960 to 2012 very high compared to everything since the peak of the MWP nearly 1000 years ago. I’m also puzzled by apparent La Nina dominance throughout the period according to your figures when it is generally acknowledged that El Nino was strongly dominant for 30 years or so during the late 20th century. Focusing on Nino 3.4 might be unwise when we are considering effects on the entire global oceans. Perhaps use the Trans Nino Index (TNI) ? The sign of the TNI clearly shows the 1976/77 climate shift when the negative Pacific Multidecadal Oscillation (PMO) faded away allowing the solar impacts to gain precedence again after a period when the solar effects were being opposed by the negative PMO. Note that one should use the term Pacific Multidecadal Oscillation rather than PDO because PDO is merely a statistical derivative of ENSO (as Bob Tisdale has often said). I did. Niño amplitudes tend to be higher than Niña amplitudes, and when you factor them in with duration the Niños and Niñas since 1960 come out about equal. Not sure what to lag against what, or by how much. I took the comparison back to 1860, which is as far back as Niño3.4 goes and as close to the LIA as I could get.The only two things that stuck out were a) a large increase in El Niño frequency during “weak sun” periods between 1860 and about 1935 and b) a broad correlation between the frequency of La Niñas (not El Niños) and solar activity, with both peaking around 1955. I don’t know where that idea came from. None of the ENSO indices show strongly dominant El Niños over this period. This index looks different to the other ENSO indices. I’ll give it a shot. Thanks for the link. Interesting. Sounds like a phase reversal of some kind. Concur with the first sentiment but not the second. i) Strong El Nino conditions during the late 20th century. iii) A general, if irregular, trend towards stronger El Ninos through the intervening period. In contrast, those features do not show up in the Nino 3.4 region displayed just above the TNI graph. As regards lagging effects the solar influence can be obscured by the 30 year cool and 30 year warm oceanic cycling. It is the confounding effect of the ocean cycling that gives upward stepping from one positive oceanic phase to the next as seen during the 20th century. I suspect that successive upward stepping is a feature of a period of increasing solar activity as from LIA to date and that downward stepping would have been apparent from MWP to LIA. Proposing changing solar input to the oceans on that 1000 year solar cycling (MWP through LIA to current warm period) provides a plausible mechanism. “…I hope it is obvious why I posted the plots above. You want a linkage, well there had better be something pretty convincing. That second dataset is the sunspot database kept by Hathaway. It is horrible. So time ago I took a stab at decoding it and producing a usable time series. “Analysis is made of the geomagnetic-activity aa index covering solar cycle 11 to the beginning of 24, 1868–2011. Autocorrelation shows 27.0-d recurrent geomagnetic activity that is well-known to be prominent during solar-cycle minima; some minima also exhibit a smaller amount of 13.5-d recurrence. Previous work has shown that the recent solar minimum 23–24 exhibited 9.0 and 6.7-d recurrence in geomagnetic and heliospheric data, but those recurrence intervals were not prominently present during the preceding minima 21–22 and 22–23. I looked at the ENSO proxy reconstruction you link to above. Comparing it with observations just since 1950 shows that it identifies two “extreme” La Niña events in 1950 and 1953 that never occurred, fails to identify the 1957, 1965 and 1972 El Niños, which are officially ranked as “strong”, and also fails to identify the 1997/98 “Superniño”. The Trans-Niño Index is defined as the difference in normalized SST anomalies between the Niño 1+2 and Niño 4 regions. It’s totally uncorrelated with any of the ENSO indices (R^2 = 0.0006 vs. Niño3.4). Then I suggest you refer to PDO instead. I’m not in a position to asses your data as compared to other sources but there are lots of references to increasing El Nino dominance over La Nina during the late 20th century warming period when the sun was active AND PDO was in the warm phase. I think pretty much everyone accepts the big phase PDO shift occurred in 1975. I suggest you rerun your totallings from then and see how it looks. As part of picking apart a peculiar dataset I needed to do feature detection, he says phrenetically. The data is awkward, why is part of the what I am trying to find out. Context is developed for 1D but extended to 2D (images) where most people have an interest. Basic concept is a timeseries in the frequency domain provides phase information for each frequency. Edges will tend to have coherent phase, all together. Actually extracting this information is not so easy. There are a variety of other methods where always the problem is noise messes things up. Sounds interesting, but I have to admit that phase coherence based edge detection isn’t something I can claim to be intimately familiar with. But choose your data set with care. There are probably a dozen or so data sets that that show the Human Eyeball Mark I shifts and some of them may be better for your purposes than others. There are also some “corrected” data sets you wouldn’t want to use at all, like HadSST3 and CRUTEM3 (CRUTEM4 is even worse), HadSST2 before 1946 and maybe some of the other SST data sets. I’ve given a lot of thought as to how, or even whether, I should respond to this comment, but I’ve decided a) that a response is necessary and b) that limiting it to the single word that popped into my head when I first read it would not advance the science. So let me make the following hopefully constructive suggestion. You can take it as a challenge if you like. Post a new thread entitled “The recent warming has been entirely a result of declining cloud cover and related cloud albedo” (Ned Nikolov’s claim). Provide evidence to support this claim. At the same time show why my competing theory that the recent warming was entirely a result of stored ocean heat releases is wrong, or otherwise show how the heat releases were triggered by cloud albedo changes. That should make for an interesting discussion, although I suspect it would be me against the world. But that’s fine as long as we learn something. [Reply] Apologies if I seemed testy, it was the second time of asking for the thread move. Roger A is correct that recent warming was (or could) have been entirely a result of stored ocean heat release. That is not inconsistent with the proposition that an active sun arranges less clouds for a greater energy input to the oceans to fuel those releases. Roger A (I think) proposes that longer stored ocean heat is responsible and that also is consistent with the solar driven scenario because one of the possibilities I have previously mentioned is that there might well now be a trend for the ocean surfaces to warm as a result of higher energy input to the oceans back during the MWP when as now the jets were more poleward, cloudiness was reduced and more energy entered the oceans. The thermohaline circulation being about 800 to 1000 years and the lag revealed by the ice cores being about 800 years it could well be that greater energy input to the oceans during the MWP could be resulting in slightly higher upwelling temperature from the THC now than will be the case when we get to 800 years from the LIA. So, I see Roger A’s proposals as entirely consistent with mine and do not understand his objections. Thanks. Apology accepted. And I apologize for making you testy in the first place. New thread coming up – great. I’m not sure my theory (which is actually a series of observationally-based deductions) is entirely consistent with yours, but we can talk about it on the thread. could you shortly note what your qualifications are, especially regarding this topic? I asked earlier, but Roger seems to have deleted my comment (no idea why). [Reply] Your earlier comment demanded occupation qualification and country of residence without revealing anything about yourself. Now that we have a name to respond to we can respond politely. The first is the assumption that “… an increase in sunspots will reduce cloudiness which will increase temperature. A reduction in sunspots will increase cloudiness which will decrease temperature”. We don’t have enough good data to confirm that clouds control temperature, and in my opinion the data we do have suggest that in fact they probably don’t. We recently discussed this at https://tallbloke.wordpress.com/2012/03/24/clouds-of-uncertainty-over/ and elsewhere. The second is the conclusion that: “So in the modern day high resolution data there is no clear effect of solar activity on the Earth’s temperature. In the long term reconstruction there is also a distinct lack of solar activity causing changes to the Earth’s temperature.” http://oi44.tinypic.com/jfyvyt.jpg shows a strong correlation between ICOADS SST and smoothed Shapiro TSI before 1976, and I think the ocean heat releases discussed in this thread explain the divergences after 1976. Apologies for the delay in replying, but I’ve been gone all week. First, please note that the deductions I make in this thread are based almost entirely on analysis of observational data, not on theoretical considerations. So the question becomes, what do I know about data analysis? Well, my work as a mining consultant requires me to analyze and validate – or not validate, as the case may be – assay data bases (gold, silver, copper, lead, zinc etc). So I guess that makes me a Data Analyst. And I get paid for doing it, so I guess that makes me a Professional Data Analyst. And I’ve been doing it for over 20 years, so I guess that makes me an Experienced Professional Data Analyst. And Stock Exchange Regulatory Agencies, who rely on independents like me to prevent the ruination of yet more widows and orphans by rapacious mining speculators, accept my opinions, so I guess that makes me a Regulatory Agency-Approved Experienced Professional Data Analyst. Now I would like to be able to claim that I’m a Regulatory Agency-Approved Experienced Professional Climate Data Analyst, but I can’t because there are no Regulatory Agencies that ride herd on climate data (more’s the pity) and because I don’t get paid for analyzing climate data. But assay data bases are analogous to the climate data bases I work with (assay grade equivalent to temperature, pressure etc, depth equivalent to month, year etc., XY coordinates the same), and I’ve been working with climate data bases for 15 years, so I guess I can at least claim to be an Experienced Climate Data Analyst. That`s right, and I think the driver is the solar wind speed, no need for any big lags though, the response is fast, but ENSO is also seasonally determined so has preferred times to change vector. Slower solar wind gives -AO and lower land temp`s, and the resultant cooling leads to El Nino conditions/episodes. p.s. fancy a wager on next winter ? That`s the wrong way round. Firstly it is highly useful to know where the step changes occur, i.e. at the Ap lowest point just after minimum, and secondly, by understanding the the nature of the exception at 1964, one may be able to predict whether the step will be up or down, or stay flat. Sunspot counts during Niño and Niña events are effectively the same but significantly lower than sunspot counts when no Niños-Niñas are running. Curious. Thanks RA, a useful start and an interesting result. I assume you have used the SO index to define El Ninos and La Ninas and neutral periods. What I would like to see is an analysis taken at the top of the late 20th century warming period, say the 1990 to 2000 period and as a comparison the numbers for the the relatively weak solar cycle 20, say 1960 to 1970. The solar cycle 24/25 data will no doubt be even more useful but we will have to wait for that. I suspect that there will be a change in the relationships for periods when the sun is active as against periods when the sun is less active. However cycle 20 is not an ideal comparator because it was only relatively weak compared to the cycles before and after and only gave rise to a modest cooling. A much better comparator would have been say 1890 and 1900 but we don’t have reliable ENSO data for the oceans back then. I’ve just crunched the ENSO/SSN numbers going back to 1856 (using the Niño3.4 Index) and am unable to find any correlation at all between SSN and ENSO events, either during strong cycles such as 21 and 22 or during weak cycles such as 20. I think we can reasonably conclude from this that ENSO events, or at least individual ENSO events, aren’t controlled by changes in solar intensity. 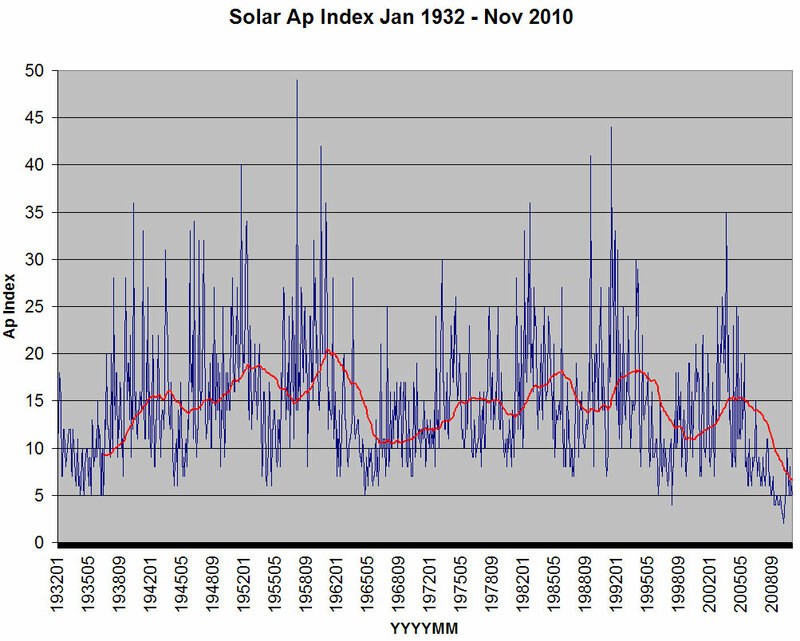 As discussed in the post, however, there is a clear correlation between ENSO and solar cycles, at least since 1960. RA, that finding will be of interest to TB and others. For my part I think we need to dig a bit deeper (or differently). I have suggested that changes in solar activity change cloudcover to skew the balance between El Nino and La Nina. During a period of high solar activity the El Nino surface waters are a little warmer as compared to La Nina and vice versa when the sun is less active. Can your numbers reveal the relative water surface temperatures of the two phenomena at any given time ? The difficulty is that the temperatures might not even correlate to the size of the SO index. The temperature of the water would not necessarily be revealed by that due to effects from other parts of the climate system. Have you looked at successive groups of say three solar cycles over centuries ? From 1860 to 2000 there was a general long term trend of increasing SSN and a similar trend of warming with steps upward in temperatures during each successive warm phase of the PDO. So if we propose that the sun gradually but erratically became more active over the period since the depths of the Maunder Minimum we can link that to both the emperature recovery since the LIA and the building up of El Nino warmth to a peak in the late 20th. However trhe warming is only apparent during the positive PDO and is masked during the negative PDO hence the successive upward stepping as shown by Bob Tisdale. If I understand you correctly the info you are looking for is on the graph below, which shows XY-plots of monthly El Niño and La Niña amplitudes against monthly sunspot number since 1856. ENSO amplitudes also appear to be unrelated to sunspot number. I redid the plots with the data divided into three-cycle groups and got pretty much the same results. The link wouldn’t work for me unfortunately but thanks for the effort you are putting into it. Where do the XY plots come from ? ENSO was only recognised as a discrete internal ocean cycle a couple of decades ago. Presumably your data is based on a proxy of some sort ? Anyway, I’m not sure that simple ‘amplitudes’ are what we need. We need to know how the ocean surface temperature and ocean heat content differed as between El Nino and La NIna over successive 30 year periods. We have been recovering from the LIA for some 400 years so the rate of recovery might well have been steady (the early 20th century warming was at much the same rate as the late 20th century warming). If the trend was pretty steady then the relationships since 1856 could be much the same but still with an underlying solar influence creating the trend. A better comparator would be accurate data during the decline from the MWP. I suspect that there would have been downward stepping from one negative PDO to the next during that period. I’m reluctant to give up on my suggestions unless the data to the contrary is rock solid because I can’t think of any other scenario that fits observations and basic physics. The effects of cycle 24 and cycle 25 will be a better comparator against the late 20th century now that we have much better sensors. For example, cloudiness increased, ocean heat content stopped rising,and PDO went negative all in the past few years which ‘coincidentally’ happened at just the time that solar activity dropped to the lowest in 100 years. Firstly, note the various ENSO regions from which you will see that region 3.4 is in the centre of the ENSO phenomenon well away from land and therefore the portion least affected by external or surrounding influences. Note that the correlation between region 3.4 and sunspot numbers is high but not so for other regions and for SOI. I suggest that region 3.4 is affected most by sunspot variations and the associated shifting of the climate zones but the noise from other factors affecting the other ENSO regions and the SOI index obscures the relationship outside region 3.4. Niño3.4 is probably the most commonly-used ENSO Index, but the other ENSO indices (bivariate, multivariate, ONI etc.) give pretty much the same results. ENSO indices are based on Equatorial Pacific SSTs because that’s where El Niños and La Niñas occur. 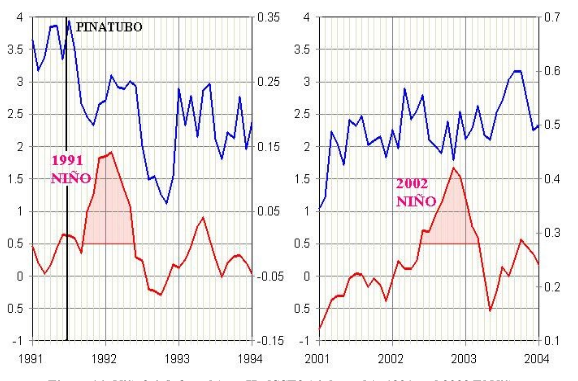 The Trans-Niño Index (devised by Trenberth, incidentally) measures the difference between SSTs in the Equatorial Pacific and off the coast of South America. I don’t use it because I’m not sure what it means. According to reports, however, it does show “… that El Niño events between 1950 and 1976 tended to develop first along the coast of South America and then spread westward. More recent El Niño events developed in the central Pacific and spread eastward.” This may be a result of the phase change that I think occurred in 1986 (see last para of post). Oldenborgh’s results confirm my earlier conclusion ( April 7, 2012 at 6:43 pm ) that there’s no correlation between SSN and ENSO events when all we consider is ENSO event amplitude. “I suggest that region 3.4 is affected most by sunspot variations and the associated shifting of the climate zones but the noise from other factors affecting the other ENSO regions and the SOI index obscures the relationship outside region 3.4.” The three ENSO temperature shifts that have occurred since 1976 are detectable from at least 60N to 30S and are clearly visible in the global temperature records shown in the post. It does take several months for the SST shifts to spread out into temperate latitudes, but the fact that the air temperature shifts always lag the SST shifts by a few months indicates that any shifting of the climate zones is induced by the ocean heat releases and not by atmospheric effects. Note, however, that this mechanism explains only the warming since 1976. Whether earlier periods of warming (recovery from the LIA, MWP etc.) were caused by the same mechanism is anyone’s guess. I’ve always said that the shifting of the climate zones results from an interplay between bottom up oceanic and top down solar effects so the net outturn is very variable which helps to explain the problems of correlation. i ) There is an internal ocean cycling which has a 60 year periodicity with opposite phases for 30 years at a time. ii) Underlying that is the length of the thermohaline circulation which gives an indeterminate periodicity somewhere about 1000 to 1500 years. iii) There is a separate solar effect but it doesn’t show up much from one cycle to another. However it does show up on the 1000 year cycle from MWP to LIA to date. iv) That longer term solar trend gives an uptrend in ocean temperatures and CO2 outgassing for 500 years at a time and then a downtrend for 500 years at a time. v) The solar effect is achieved by altering the vertical temperature profile of the atmosphere thus shifting the climate zones poleward or equatorward. Ocean heat content is affected via cloudiness changes and the oceans then shift the climate zones differently to what would have happened if the sun had stayed the same. vi) Depending on phasing, the solar trend can be in or out of step with the oceanic effects hence the problems of correlation. but generally a rising solar trend will show upward temperature stepping and a downward solar trend will show downward temperature stepping. The observation of a correlation between sunspot numbers and the 3.4 region is a helpful indicator but it does not seem to show up in the other regions or the SOI within the rather poor historical data that we have. To confirm or rebut this hypothesis we need to watch what happens over coming years. Your article is not necessarily wrong because it could fit a scenario whereby the thermohaline circulation were now returning MWP warmth to the surface. All I am saying is that it is more complex than that if we are to incorporate more observations. The return of past heat from the oceans as proposed by you doesn’t fully fit the bill but it may well be a factor. “….I translate for my blog. Roger..now ….You are a italian boy. What is this in SST2 and UAH TLT?